At the recent Deacons meeting in October, the SA Deacons agreed to form the core group for the new Executive, 2010-2012. This group will work in cooperation with a representative from each Synod, as well as a wider group of Deacons with particular areas of interest and expertise, or connections. 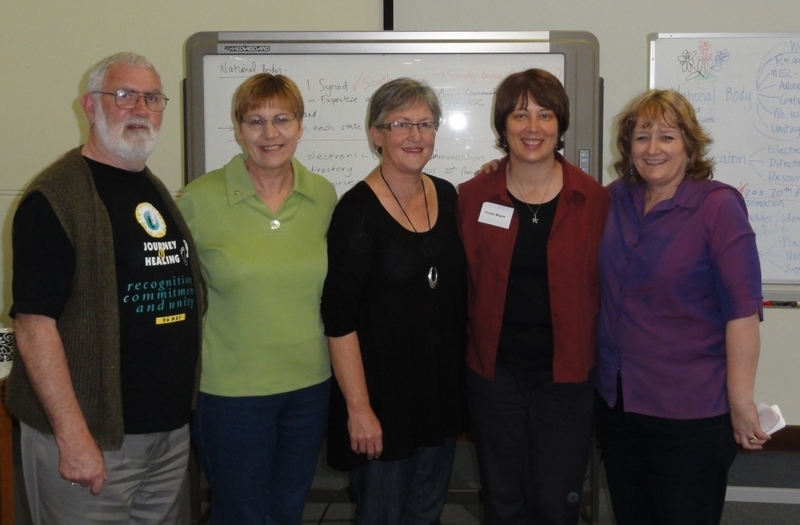 Together, this wider group will provide leadership for the national responsibilities of DUCA (Deacons of the Uniting Church in Australia). The DUCA Co-ordinator and contact person will be Sandy Boyce, who will work with other SA Deacons. The SA Deacons pictured at the DUCA meeting are Bill Harris, Naomi Rosenberg, Juleen Villis, Christa Megaw and Sandy Boyce.